Every year Graduate Aptitude Test in Engineering (GATE) is conducted by one of the IIT’s or IIS’s in India. This year GATE exam is going to be conducted by IIT, Guwahati. They have released the Brochure for GATE 2019 Exam recently. Interested Candidates have to apply online for the GATE Exam 2019 through the official website. Graduate Aptitude Test in Engineering (GATE) is an entrance test conducted to select candidates for the admission into the IIT's, IIS’s and top universities in India. Every Student in India Dream to study in IIT’s. So this GATE exam is a golden opportunity for the candidates who wish to get admission in IITs & NITs. The GATE score of a candidate reflects a relative performance level in a particular subject. This GATE Score not only helps the candidates to get M.tech admission it will also help you to get jobs in Several Public Sector Undertakings such as IOCL, NTPC, ONGC, and PGI etc. Almost all Public Sector Undertakings use GATE scores for preliminary screening except very few Like SAIL, CIL, VIZAG etc. Candidates who have already completed their B.tech / B.pharma and the students studying their final year are eligible to apply for GATE Exam 2019. Candidates are advised to read the complete GATE 2019 Notification before applying online to check complete GATE Exam Details. You can check the complete GATE 2019 exam Notification on our site. GATE 2019 Online Application will be available at the official website. Online registration is available to the candidates from 01/09/2018 to 21/09/2018 (without late fee) & up to 01/10/2018 (with late fee). Remaining details about GATE 2019 are available below. The Candidates applying for GATE 2019 Exam should meet the below eligibility criteria such as educational qualification and Age limit. The eligibility criteria given in our website is based on the Eligibility criteria as given in GATE Exam 2019 Notification. Educational Qualification: Candidates who are currently in the final year and the candidates who have already completed B.E/ B, Tech/ B.Pharmacy/B.Arch/ M.Sc/ M.A/MCA from any recognized university are eligible to apply for GATE 2019 Exam. Name of the Exam: Graduate Aptitude Test in Engineering. GATE 2019 Exam Pattern: GATE 2019 exam will contain 65 questions which cover all the subjects we have read in our Graduation carrying maximum of 100 marks. Detailed exam pattern is available in official notification. Please refer GATE 2019 Notification for more details. · Biometric information (Photograph and Fingerprints) for randomly selected candidates may be captured before the start of the examination. 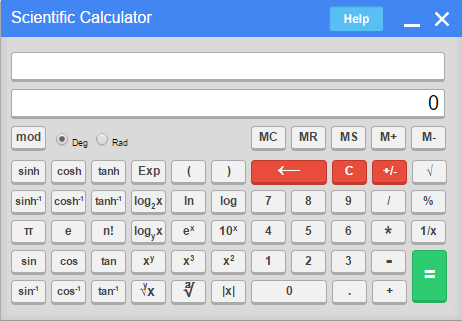 · An online virtual calculator will be available at the time of examination. No physical calculator will be allowed. · After completion of GATE 2019 exam, all answer keys will be made available for dispute within a short time. · Register yourself by providing a valid email address, mobile number, and a GOAPS password. · After completion of Registration GOAPS Enrollment ID will be sent to the candidate make note of it. · Log in with your Enrollment ID & Password and fill the application form carefully. · Once the application is submitted no modifications will be allowed. · Check the application & Submit it. · Take print out of the application. The syllabus for each of the papers is given separately for each branch in the official notification. They have given GATE 2019 syllabus for ECE, CSE, AE and all other branches. Please refer the notification available on our site for complete detail about GATE 2019 Syllabus. Admit cards for the GATE 2019 exam will be available at the official website. Once the admit cards will be released candidates will be intimated about that through e.mail or SMS. Then candidates can download admit cards through the official site by entering their enrollment ID & Password. GATE 2019 Admit cards will be released on 04/01/2019. Once the results have been released candidates can check their GATE Exam 2019 results at official website. The results release dates will be updated on our site. GATE 2019 results are expected to be released on 16/03/2019. sir, i m unable to upload my documents on goaps ,already i have cropped them in the specified dimension and size .